Pathya Ayurveda offers the one and only ayurvedic post chemo detox treatment available globally which is performed according to the ancient ayurvedic concept. We have created a set of external treatments, internal medicines and specially formulated organic food helps to remove the bad effects that chemotherapy has on the body. Our rehab programme helps to detox the harmful chemicals from the body, to remove fatigue and to stabilize the bone density. The arthritis like joint pain caused by certain chemotherapy medicines can be controlled by external ayurvedic treatment thereby improving the life quality. Detoxification of liver happens during the rehab programme and it helps to remove symptoms like constipation caused by chemo. The prana yoga sessions helps to improve mental and physical energy by removing energy pathway blocks. Chemotherapy is a category of cancer treatment that uses one or more anti cancer drugs maybe with a curative intent or it may aim to prolong life or to reduce symptoms. Chemotherapy drugs target cells at different phases of the process of forming new cells, called the cell cycle. The chemo drugs cannot differentiate between healthy cells and cancer cells. This means normal cells are damaged along with cancer cells, and this causes side effects. Chemotherapy can interfere with the body's ability to produce healthy blood platelets, red blood cells and white blood cells. Pathya's Ayurveda Post Chemo detox treatment is a combination of tailor made external treatments, special medical formulations and individualized organic food. This valuable combination helps to detoxify and rejuvenate you mentally and physically. The time tested rejuvenation therapy, is a unique contribution of Ayurveda that provides multidimensional benefits to your body and mind. Rasayana Chikitsa helps to reduce the side effects of chemotherapy, also nourish all dhatus properly and restore the basic homeostatic balance. Abhyanga means massage and is a key part of Ayurvedic therapy. It usually involves oils prepared with specialized ayurvedic herbs and essential oils for lymph drainage, detox and relaxation. 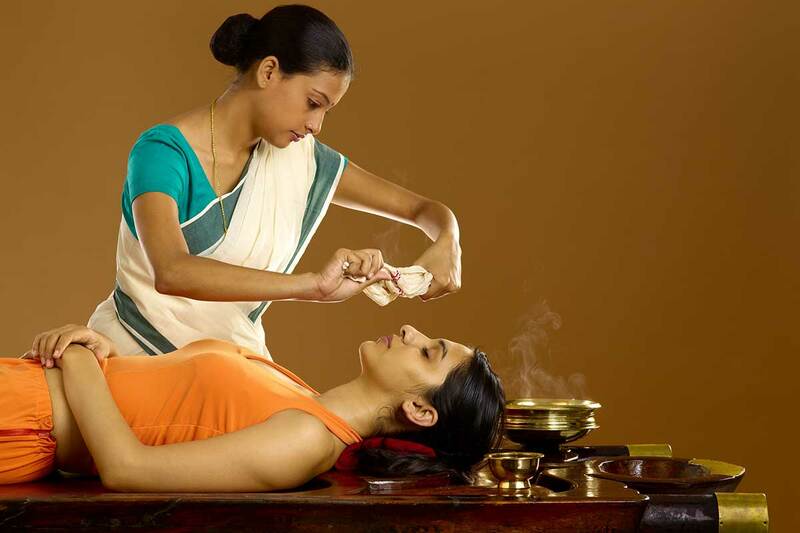 Shirodhara is a kind of massage that is done by gently pouring warm herbalized oil over the forehead. Shirodhara is said to synchronize brain waves patterns and help to coordinate and calm the body as well the mind. This is for detoxification and to help immobilize accumulated toxins in the mammary glands. Swedana is an herbalized steam bath. In this procedure, the head and heart are kept cool while gentle hyperthermia is applied to the rest of the body. This procedure is said to remove both physical and emotional toxins lodged deep within the tissues. This is dry lymphatic skin brushing. This procedure helps increase circulation and cleanse the pores of the skin. Basti is an enema using Ayurvedic herbs in order to pull toxins out of the colon. Panchakarma is individually tuned to each individual's health needs. Basti is usually performed at the end of a panchakarma treatment in order to get rid of loosened impurities, it is used to introduce ayurvedic medicines into the blood and tissues in the most effective way possible.